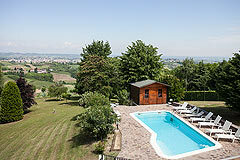 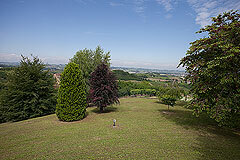 Location, Location, Location ... Italian villa, swimming pool and park with the most stunning vineyard and mountain views. Located in a south facing elevated position it enjoys the most spectacular views across the surrounding countryside, vineyards and Maritime Mountains.The property is approached by a good asphalt road and has a private gated entrance. 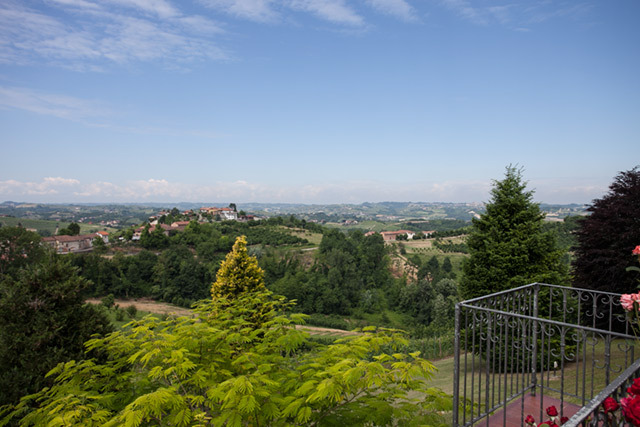 The property enjoys a wonderful countryside location but it is not isolated, its close to the important towns of Asti and Alba and perfectly located to integrate and enjoy the 'Dolce Vita' of the true Italian lifestyle. 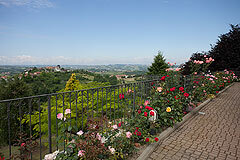 Milan, Turin, the Italian Lakes, Alpine ski resorts and the Ligurian coast are all close by. This architect designed important Italian Villa is situated in a private and tranquil location close to the villages if San Martino d' Alfieri and Govone and San Damiano.Village facilities are just a short walk away. 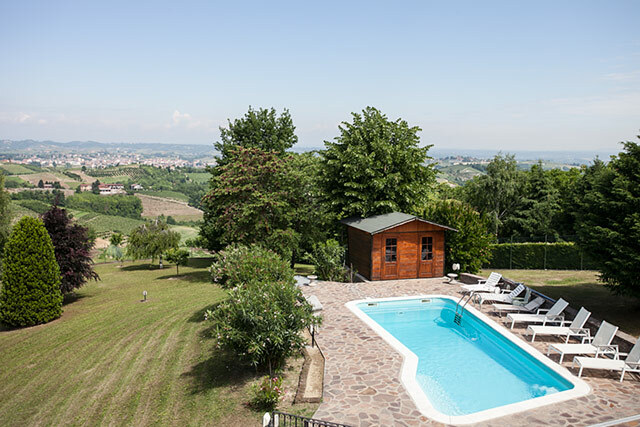 The villa, it's swimming pool and parkland are located in the most beautiful position with outstanding views of the vineyards and mountains. The house provides well appointed high quality accommodation. 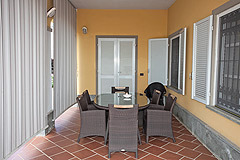 Kitchen - fully fitted again with access to the outside terrace areas. Surrounding the property at the front is a delightful arched portico area , it's a very nice feature but also provides a wonderful area to enjoy the Italian outside lifestyle protected from the strong summer sun.